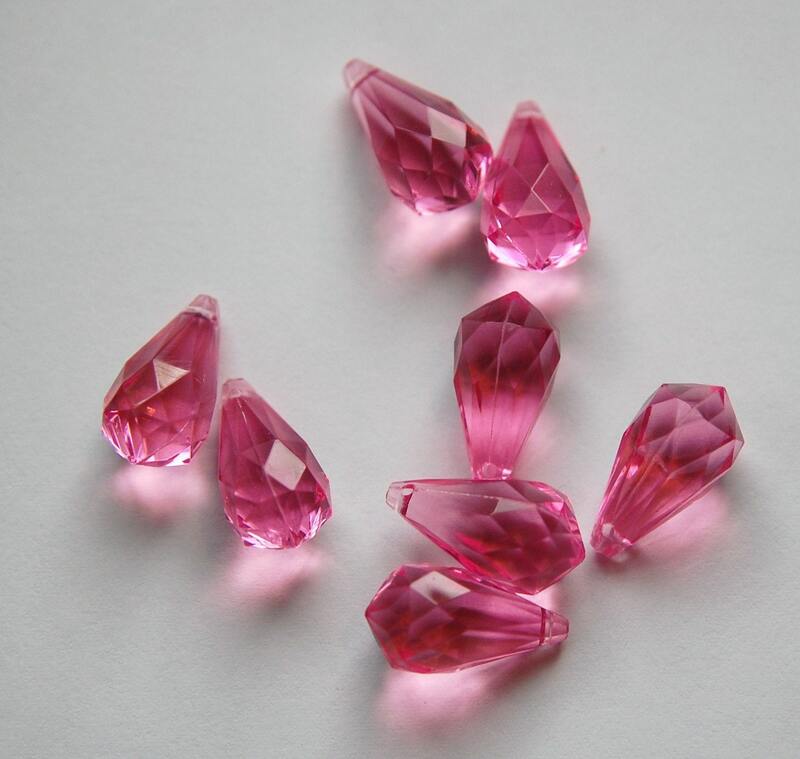 These are plastic rose pink faceted drops. They measure 18mm x 9mm. You will receive 8 pieces.